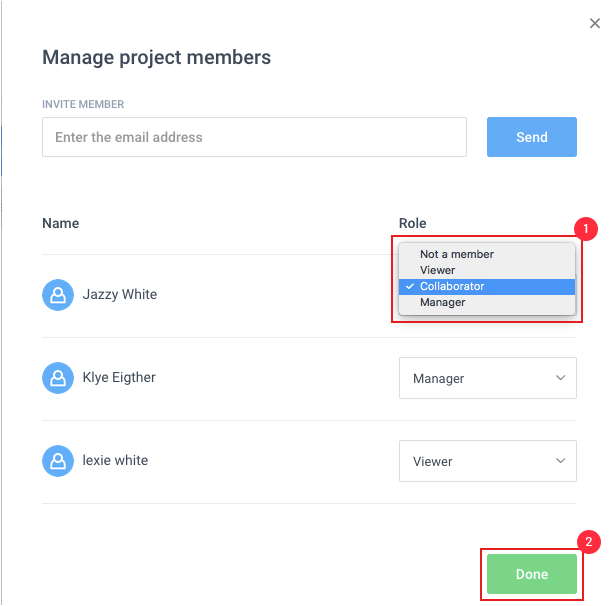 Follow the steps below to change your team members roles in a project. 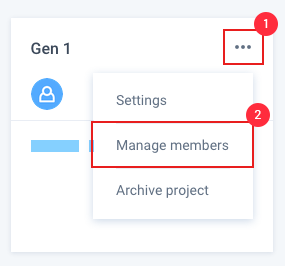 If you are looking at the project from the organization level: Click on the options button and click on Manage members. Beside the name of the user, you will see the current role. 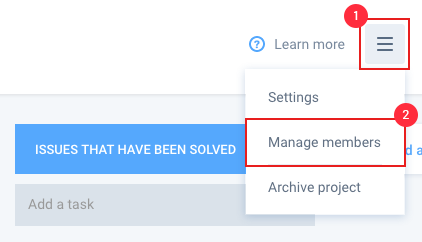 Toggle to the desired role and click Done.